L'han puntuada els nostres clients després d'allotjar-se al Casa Rural Tajona & Granero. Assegura't un bon preu al Casa Rural Tajona & Granero - els clients que s'hi han allotjat fa poc li han posat un 9,4. 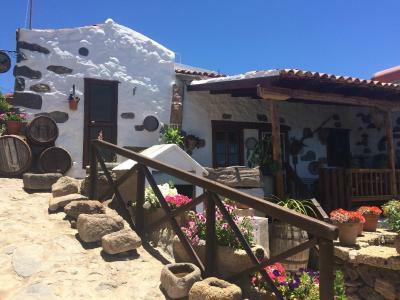 A lovely, authentic house far away from the shocking crowd of the Los Christianos area. 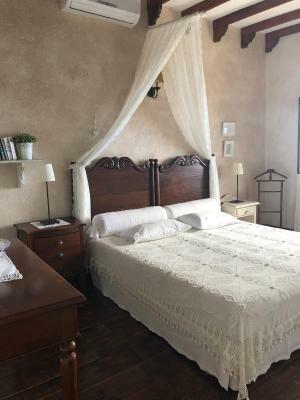 You feel the love and care of the owners (who live also in the same courtyard) in every small detail, it is quiet and has an amazing view to the Atlantik. 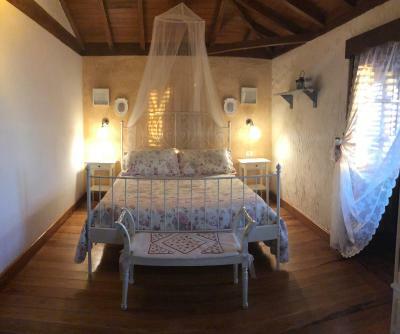 The house is equipped with everything you need for a longer or only a short stay, you feel immediately at home. It is the perfect place to rest after discovering this beautiful island, to go sleep with the shiny stars and to wake up with bird song. There is only thing you have to be prepared for: in the mountains it is always colder than at the beach (the temperature falls 1 °C by every 150 m upwards), so take also warm clothes with. The hosts were very friendly and courteous, and even brought us a jacket that we forgot in the finca to Los Christianos. We only had a few communication problems, as we do not speak Spanish and they speak only a little bit of English, but it worked! As a welcome gift we got a basket full of fruits and wood for the fireplace. The view from the terrace is amazing, especially in the morning. 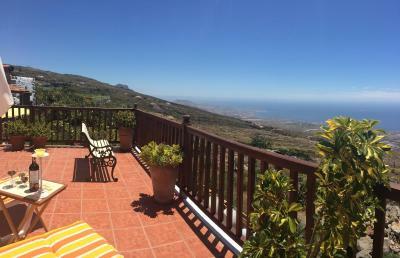 On clear days one can see La Gomera, La Palma and El Hierro. Just remember to bring some warm clothes, since the finca is quite high up the mountain and it may become a bit cold in the evening. Skøn, skøn beliggenhed: stille og roligt og med fantastisk udsigt. Smukt og stemningsfuldt hus og miljø. С любовью обставленное жилье. Уютное, тихое. Виды замечательные. По приезду нас ждала корзина с фруктами-комплимент принимающей стороны. В спальне установлен кондиционер- включали его на подогрев воздуха, поскольку поездка была в ноябре, и в доме было немного прохладно. sehr schön eingerichtete Ferienwohnung. Nichts fehlte. Sehr ruhige Lage. Fantastische Aussicht. Très bonne situation géographique avec une vue magnifique sur la cote. Excellent camp de base pour décourvrir le sud de l'ile. petit panier de fruits et douceurs offert à l'arrivée. hote très arrangante. Eine unglaubliche, traumhafte Lage. Eine wunderschöne äußerst großzugüge "Villa". Sehr freundliche Vermieterin. Die vorherigen Kommentare haben mich zur Buchung geführt, und alles davon stimmt(e). Ein auf einem Berghang, fernab vom Massentourismus gelegenes kanarisches Bauernhaus mit grandiosem Ausblick! Die Besitzer sind unglaublich nett, bei Ankunft gab es einen Korb mit Brennholz und ein Welcome-Körbchen mit Lebensmitteln. Das Haus ist super ausgestattet, von Küche, über Terasse, 2 WCs bis Schlafzimmer - alles was das Herz begehrt! Ein Auto ist dringend nötig! Sehr liebes Personal, aber überhaupt nicht aufdringlich. Sorgt sich sehr um das Wohl der Gäste. Die Casa an sich ist riesig, mit sehr vielen lieben Details dekoriert, tolle Kücheneinrichtung, rustikaler Stil. Ausgezeichneter Blick auf den Atlantik. Man ist weg vom Touristenstrom. Mit dem Mietauto erreicht man alles ganz schnell. Würde ich sofort wieder buchen. 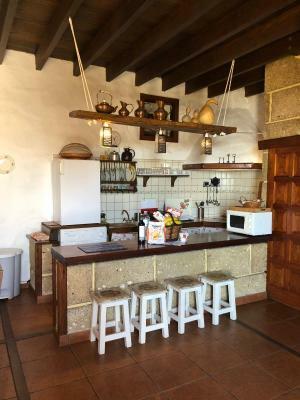 "A lovely, authentic house far away from the shocking crowd of the Los Christianos area. " 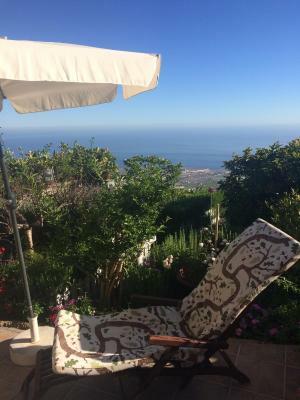 "The hosts were very friendly and courteous, and even brought us a jacket that we forgot in the finca to Los Christianos. " "I booked this place as a surprise for my girlfriend and I also Proposed to her to marry me and she said yes 😍 . The owners are amazing 😉 the place is amazing . Loved every second at this place . " "Skøn, skøn beliggenhed: stille og roligt og med fantastisk udsigt. Smukt og stemningsfuldt hus og miljø." "С любовью обставленное жилье. Уютное, тихое. Виды замечательные. По приезду нас ждала корзина с фруктами-комплимент принимающей стороны. " "sehr schön eingerichtete Ferienwohnung. Nichts fehlte. Sehr ruhige Lage. Fantastische Aussicht." "Très bonne situation géographique avec une vue magnifique sur la cote. Excellent camp de base pour décourvrir le sud de l'ile. petit panier de fruits et douceurs offert à l'arrivée. " "Eine unglaubliche, traumhafte Lage. Eine wunderschöne äußerst großzugüge "Villa". Sehr freundliche Vermieterin. " "Ein auf einem Berghang, fernab vom Massentourismus gelegenes kanarisches Bauernhaus mit grandiosem Ausblick! " "Sehr liebes Personal, aber überhaupt nicht aufdringlich. Sorgt sich sehr um das Wohl der Gäste. " 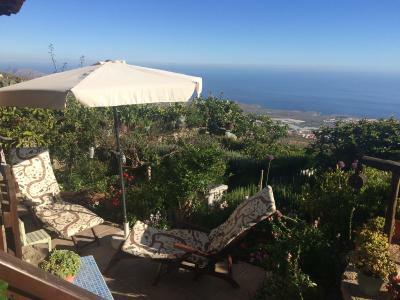 Offering spectacular views of the sea and the surrounding countryside from its furnished terraces, Casa Rural Tajona & Granero is set in La Concepción, 15 minutes’ drive from Adeje. 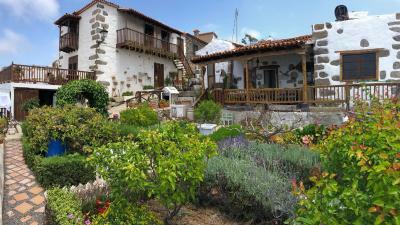 Each of the rustic-style houses has a garden and private terrace with a barbecue. They include a lounge with a fireplace, sofas and flat-screen TV, as well as a kitchen with a microwave, hob and washing machine. Guests will find a welcome basket upon arrival, as well as one free load of firewood. Free Wi-Fi is also available in the houses and bed linen and towels are provided. The nearest restaurant is 1 km away, while Adeje offers a selection of shops and dining options. You can reach the coast and the beaches in a 15-minute drive. Tenerife South Airport is 20 minutes’ drive from the houses via the TF1 Motorway. La ubicació d'aquest allotjament té una de les millors puntuacions de a Adeje! Als clients els agrada més en comparació amb altres allotjaments de la zona. Els clients també diuen que aquest allotjament ofereix la millor relació qualitat-preu a Adeje! Aquí els teus diners donen més de si en comparació amb altres allotjaments de la ciutat. Casa Rural Tajona & Granero treballa amb Booking.com des del 2 de maig de 2013. 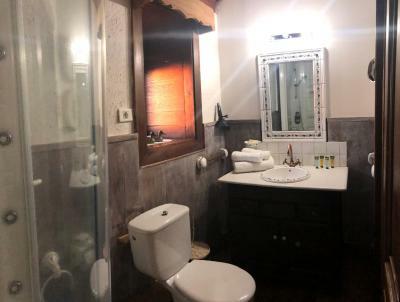 Ideal per a parelles - han puntuat les instal·lacions amb un 9,5 per a estades de 2 persones. Quan vols allotjar-te a Casa Rural Tajona & Granero? Each of the rustic-style houses has a garden and private terrace with a barbecue. They include a lounge with a fireplace, sofas and flat-screen TV, as well as a kitchen with a microwave, hob and washing machine. Free Wi-Fi is also available in the houses and bed linen and towels are provided. This room has not capacity for extra beds. Llegeix-ho Casa Rural Tajona & Granero accepta peticions especials, que pots escriure al pas següent. Un menor de 16 anys paga 12 EUR per nit utilitzant els llits existents. 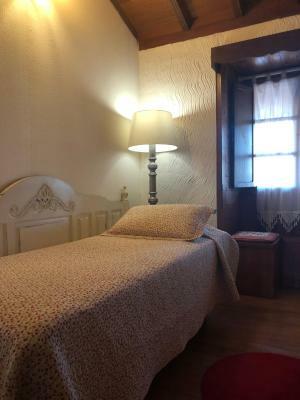 La resta de nens més grans o adults paguen 12 EUR per nit si dormen en llits supletoris. El Casa Rural Tajona &amp; Granero accepta aquestes targetes i es reserva el dret de fer una retenció temporal a la teva targeta abans de l'arribada. El Casa Rural Tajona & Granero accepta aquestes targetes i es reserva el dret de fer una retenció temporal a la teva targeta abans de l'arribada. Please let Casa Rural Tajona & Granero know your expected arrival time in advance. You can use the Special Requests box when booking or contact the property. 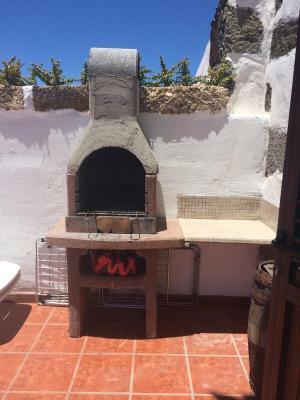 A free basket of firewood is provided free of charges, extra basket of firewood has a cost of 6 euros. 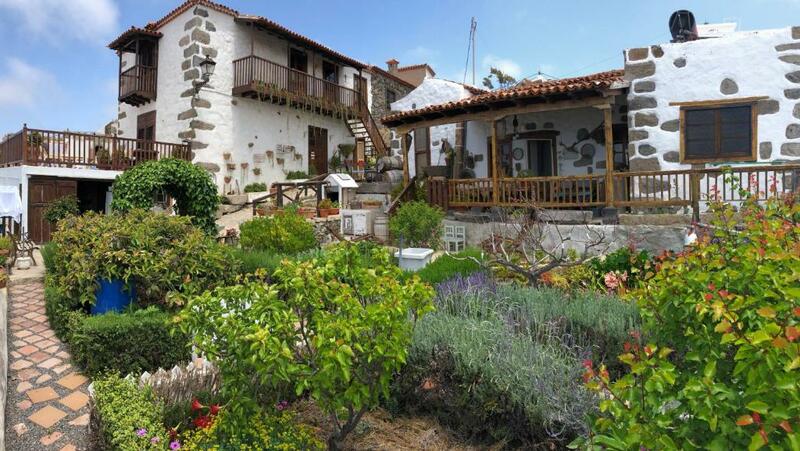 "A lovely, authentic house far away from the shocking crowd of the Los Christianos area. 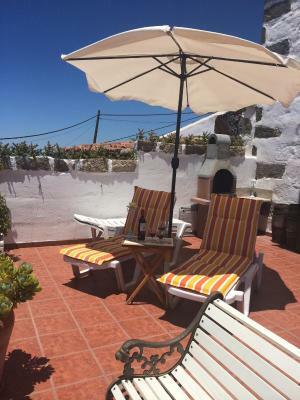 You feel the love and care of the owners (who live also in the same courtyard) in every small detail, it is quiet and has an amazing view to the Atlantik. 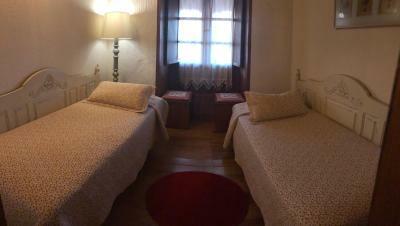 The house is equipped with everything you need for a longer or only a short stay, you feel immediately at home. It is the perfect place to rest after discovering this beautiful island, to go sleep with the shiny stars and to wake up with bird song. There is only thing you have to be prepared for: in the mountains it is always colder than at the beach (the temperature falls 1 °C by every 150 m upwards), so take also warm clothes with." 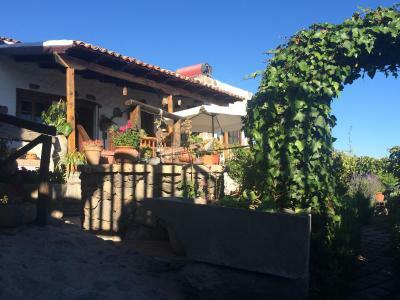 "The hosts were very friendly and courteous, and even brought us a jacket that we forgot in the finca to Los Christianos. We only had a few communication problems, as we do not speak Spanish and they speak only a little bit of English, but it worked! As a welcome gift we got a basket full of fruits and wood for the fireplace. The view from the terrace is amazing, especially in the morning. 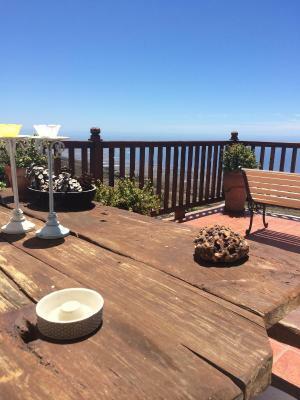 On clear days one can see La Gomera, La Palma and El Hierro. 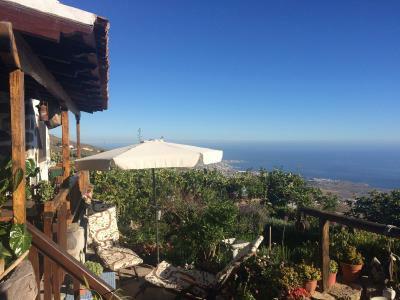 Just remember to bring some warm clothes, since the finca is quite high up the mountain and it may become a bit cold in the evening." "I booked this place as a surprise for my girlfriend and I also Proposed to her to marry me and she said yes 😍 . The owners are amazing 😉 the place is amazing . Loved every second at this place . So so happy . Pepe + Anna from Uk"
"С любовью обставленное жилье. Уютное, тихое. Виды замечательные. По приезду нас ждала корзина с фруктами-комплимент принимающей стороны. В спальне установлен кондиционер- включали его на подогрев воздуха, поскольку поездка была в ноябре, и в доме было немного прохладно." "Très bonne situation géographique avec une vue magnifique sur la cote. Excellent camp de base pour décourvrir le sud de l'ile. petit panier de fruits et douceurs offert à l'arrivée. hote très arrangante." "Eine unglaubliche, traumhafte Lage. Eine wunderschöne äußerst großzugüge "Villa". Sehr freundliche Vermieterin. Die vorherigen Kommentare haben mich zur Buchung geführt, und alles davon stimmt(e)." "Ein auf einem Berghang, fernab vom Massentourismus gelegenes kanarisches Bauernhaus mit grandiosem Ausblick! Die Besitzer sind unglaublich nett, bei Ankunft gab es einen Korb mit Brennholz und ein Welcome-Körbchen mit Lebensmitteln. Das Haus ist super ausgestattet, von Küche, über Terasse, 2 WCs bis Schlafzimmer - alles was das Herz begehrt! Ein Auto ist dringend nötig!" "Sehr liebes Personal, aber überhaupt nicht aufdringlich. Sorgt sich sehr um das Wohl der Gäste. Die Casa an sich ist riesig, mit sehr vielen lieben Details dekoriert, tolle Kücheneinrichtung, rustikaler Stil. Ausgezeichneter Blick auf den Atlantik. Man ist weg vom Touristenstrom. Mit dem Mietauto erreicht man alles ganz schnell. Würde ich sofort wieder buchen."